KPCL Recruitment 2017 – 29 Operative & Assistant Operative Posts:- Karnataka Power Corporation Limited (KPCL) has released latest notification for filling up 29 posts of Operative & Assistant Operative. Desirous & eligible candidates can apply online from 21/09/2017 to 21/10/2017. 1. Operative (Driver): SSLC/ equivalent (Regular Course) & License of HMV. 2 years’ experience of Driving Heavy Vehicles in public/ private companies/ Firms. 2. Assistant Operative (Driver): SSLC/ equivalent (Regular Course) & License of LMV. 2 years’ experience of Driving Light Vehicles in public/ private companies/Firms. Application Fee: Rs.500/- (Rs.400/- for SC/ST/Cat-I candidates) plus postal service charges of Rs.15/- & Rs.50/-(Rs.35/- processing charges+Rs.15/- postal service charges) for Ex-servicemen, Children of Defence Personnel killed or disabled in action. Starting Date of Online Application :21/09/2017. Last Date of Online Application :21/10/2017. Application Procedure : Eligible candidates can apply online through the website http://www.karnatakapower.com from 21/09/2017 to 21/10/2017. 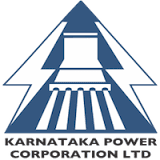 Karnataka Power Corporation Limited (KPCL) has released latest notification for filling up 85 posts of Assistant Engineer, Junior Engineer, Chemist & Chemical Supervisor for Raichur Thermal Power Stations (RTPS) , Bellary Thermal Power Stations (BTPS) and Yeramarus Thermal Power Stations (YTPS). Desirous & eligible candidates can apply online from 19/07/2017 to 18/08/2017. For Post No 1 to 4 : Degree or equivalent qualification in Civil /Electrical /Mechanical /Instrumentation Engineering from a recognized University. For Post No 5 to 7 : Three years Diploma in Civil/Electrical/ Mechanical Engineering. For Post No. 8 : A Master Degree in Chemistry/Applied Chemistry from a recognized University . For Post No. 9 : A Bachelor’s Degree in Science with chemistry as one of the subject from a recognized University . Application Fee: Rs.500/- (Rs.250/- for SC/ST/Cat-I candidates) plus postal service charges of Rs.15/- & Rs.50/-(Rs.35/- processing charges+Rs.15/- postal service charges) for Ex-servicemen, Children of Defence Personnel killed or disabled in action, Persons with Disability (Divyanga) through any Post Office branch which is computerized, in the state of Karnataka. Last Date of Online Application : 19/07/2017. Last Date to Payment of Application Fee: 18/08/2017. Application Procedure : Eligible candidates can apply online through the website http://www.karnatakapower.com from 19/07/2017 to 18/08/2017. Subscribe our free job alert mail for KPCL Recruitment 2017.